Coca-Cola is doing away with Coke Zero and replacing it with Coke Zero Sugar. It might sound illogical, or even silly, but it's not just a new name, it's actually a different drink. The change comes amid legal challenges that blame Coke and other drinks for contributing to an "epidemic of obesity." The company is also being criticized for hiring public figures to carry its message. As for the switch to Coke Zero Sugar, Coke Zero hasn't been selling all that well in the U.S. But in Europe, the Middle East and Latin America, Coke Zero Sugar has been a big success. So, as the company tells it, Coke is bringing Coke Zero Sugar to the U.S. in August and ditching Coke Zero. 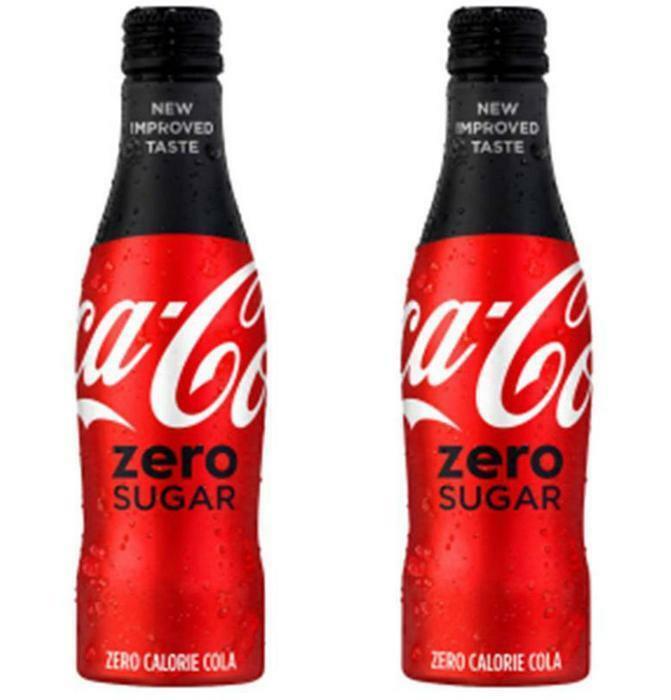 The company says that Coke Zero Sugar tastes more like the original Coke and the can looks more like it too, with a red circle instead of Coke Zero's black design. Both drinks are sugar-free and contain the same artificial sweeteners. Coca-Cola launched Coke Zero in 2006 but it hasn't sold well enough to make up for losses in the sales of Diet Coke, which as its name implies is yet another Coca-Cola brand extension. The problem Coca-Cola and other drinkmakers face, of course, is that they have historically sold carbonated sugary drinks. Consumers are demanding less sugar, which makes it kind of tough to brew up a sugar-free sugary drink that appeals to consumer tastes. Coke's upbeat marketing is fine but critics say the company should be held responsible for the widespread epidemic of obesity, diabetes, heart disease and related maladies. A lawsuit filed earlier this month charges that the Coca-Cola Company and its trade association, the American Beverage Association (ABA), deceive consumers by denying and obscuring soda’s link to those diseases. The complaint alleges that Coke covertly funded and publicized biased scientific research, substantially orchestrated a drumbeat of deceptive ABA press releases on science and health, and ran false and misleading advertising campaigns. It cites a report in the New York Times that said that between 2010 and 2015 alone, Coca-Cola spent $120 million on research and other projects aimed at confusing consumers about, or denying, the science linking health risks to soda and other sugar drinks. Bringing the action in the Superior Court of the District of Columbia were Reverend William H. Lamar IV, pastor of the historic Metropolitan African Methodist Episcopal Church in Washington, DC; Reverend Delman Coates, senior pastor of Mt. Ennon Baptist Church in Clinton, MD; and the Praxis Project, a nonprofit organization focused on building healthier communities. “For far too long, Coca-Cola has been convincing people, including children, that soda is a source of fun and happiness and that it is safe to drink,” said Rev. Coates in a statement issued by the Center for Science in the Public Interest. “But from my vantage point, Coca-Cola is devastating the African American community by fueling an epidemic of obesity and an epidemic of type 2 diabetes." The lawsuit quotes Coca-Cola executive Katie Bayne’s much-publicized statement that “[t]here is no scientific evidence that connects sugary beverages to obesity” as representative of the kind of deception that Coke and the ABA publicly engage in. Sugar-sweetened beverage consumption is linked scientifically not only to obesity but also to type 2 diabetes and heart disease. The Centers for Disease Control and Prevention, the federal government’s 2015 Dietary Guidelines for Americans, the American Heart Association, the American Medical Association, and numerous other prominent medical and health authorities all acknowledge such links, the CSPI alleged. “When industry wanted to sell more cigarettes, it used powerful advertising to make smoking seem glamorous, and it tried to muddy the waters and make it seem as if smoking’s link to lung cancer were in doubt,” said Rev. Lamar. “Soda might not be smoking, but the tactics of the companies are strikingly similar to me: Market heavily. Cast doubt on science. People need and deserve to know the facts about soda consumption." A recent New York Times article focuses on Coca-Cola's recruitment of public figures to shift the blame for obesity from sugary drinks onto inactivity. The newly named director of the U.S. Centers for Disease Control and Prevention (CDC), Dr. Brenda Fitzgerald, accepted $1 million from Coca-Cola to fight child obesity when she was the health commissioner of Georgia, the state with one of the highest rates of child obesity, the Times reported. She used the money to finance a program called Power Up for 30, encouraging schools to give children 30 more minutes of exercise each day. Her appointment by President Trump puts her in charge of an agency that in 2013 broke its ties with Coca-Cola after concluding the company's mission was at odds with the CDC's public health mission. Critics say the Power Up for 30 is an example of the company's attempts to shift the blame for obesity and illness from sugary drinks to inactivity.